Dr. Donald L Willis, MD is a Doctor primarily located in San Marcos, TX. He has 36 years of experience. His specialties include Urology. He speaks English. The overall average patient rating of Dr. Donald L Willis is Good. Dr. Donald L Willis has been rated by 13 patients. From those 13 patients 2 of those left a comment along with their rating. The overall rating for Dr. Donald L Willis is 3.4 of 5.0 stars. 1st appointment I arrived 15 early at 9:45 a.m. for 10:00 a.m. appointment. Signed IN and waited until 10:30 before being called in and taken to Exam room. There the nurse took B.P. and got Urine Sample and left. I waited another hour seeing NOBODY, and at 11:00 a.m. I got up and left! Wasted morning and still did not see a Urologist. Will not go back. We had scheduled a procedure with this doctor, took time off of work, reschedule our weekend activities for recovery time, and the office calls 1 day before our procedure to tell us that the doctor would not be able to do the procedure - he is going out of town and forgot when he scheduled his flight. There is no physician covering for his patients and the staff is INCREDIBLY rude. Now we are out vacation time for our family Christmas and we are not going to be able to get our procedure done. VERY VERY VERY disappointing. 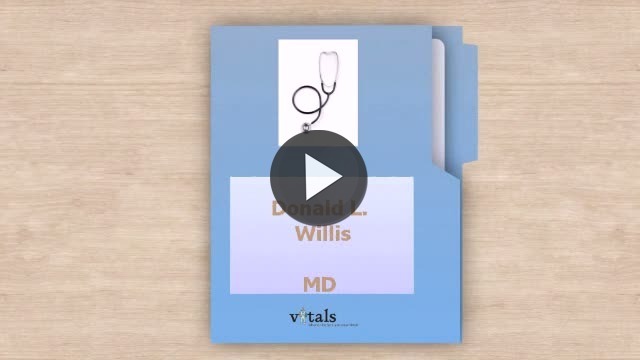 Take a minute to learn about Dr. Donald L Willis, MD - Urology in San Marcos, TX, in this video. Dr. Donald L Willis is similar to the following 4 Doctors near San Marcos, TX. Have you had a recent visit with Dr. Donald L Willis? Select a star to let us know how it was.